When I got the idea for this blog, I didn’t know any more about women than the next guy. But i have an advantage. I’m not a guy. See, I was raised with all brothers. Females were as much a mystery to me as they have ever been to any man. I can change an alternator and I lettered in football in high school (a story for another time) but I was completely at a loss when it came to my own species. Watching my male friends trying to navigate relationships was more like watching them put on blind folds and cross eight lanes of traffic. Like Frogger for the romantically challenged. Something had to be done. I am well aware that this is an endeavor of epic proportions. 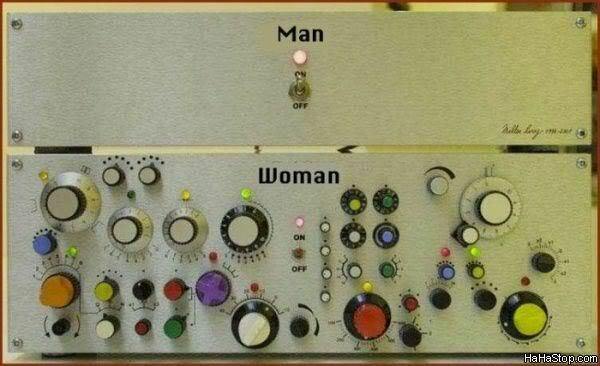 Women are complicated and unpredictable. Fortunately, my plumbing gives me the ability to infiltrate their ranks without blowing my cover. I am also aware that some of my fellow females may hate me for it. I already make women uneasy with my ineptness at all things crafty and loathing of The View. I’m not going to lie, it does make them suspicious. But ultimately, if I don’t talk too much about the Titans offense and include my kids in the conversation, they open up. I do like women. Some of my best friends are women. Hopefully they still will be after they read this. I’m not a psychologist, psychiatrist, counselor or any other form of licensed therapist. I’m just a girl, who has seen some stuff and am going to write a (hopefully) humorous blog about it. I’ve been successfully married since 1992. To the same guy even. Our relationship will make appearances in blogs yet to be born so I won’t go into detail here. All you need to know is that he’s just about the coolest guy on the planet and has a really amazing beard. As I get into the blogs, feedback will be welcome. Questions? Even better. I’ve posted my for real personal email to make it easy to contact me directly. Comments on the blogs are great, too. If you email a question about something you’d like to know, it may show up in a blog, but I’ll leave your name out of it. In fact, the only real name I’ll ever use is mine. Think, “Ask Sharideth” and I’ll respond with something like “Dear Dumped On In Duluth”. Got it? Love the concept and the blog posts. Bryan Allain sent me (ok, so his blog did but still). Good stuff. I’m excited to read more! you say this is a blog for men, but I don’t know one guy who puts that much thought or effort into anything that doesn’t have wheels or knobs or buttons or lights. so I find it interesting that if the picture at the top of this post did not have “woman” written across the bottom I would never have made that association and the fact that it does have “woman” written on it, numbs my brain. I’m going to tell you something and ask you what you think it says about me? In the first year of our marriage my wife left me a note in an envelope on my dresser. Inside she listed things we should talk about. It scared me. I didn’t want to talk. I put the note back in the envelope and pretended that I didn’t see it, until finally it disappeared and she never even brought it up, and guess what? everything worked out fine. OMG….like a manual for chicks and stuff? Wow…this thing is gonna be thick as hell to read… cliff-notes available? Should have fun here…. Just found your blog and love it! Great idea and great writing style. Keep it up!! i came across your blog and I absolutely love this. This is a great idea to give an insight to women what better person to give insight than a woman. Keep this blog up, I look forward to reading more. “The View” makes me twitch (the three times I have been “forced” to watch it). I totally empathize with your feelings concerning it. Dear Sharideth. I’m so glad I found you. Wow, this is such a fun blog. Great writing — engaging, entertaining and any other positive adjectives that start with “E”. Simply put, I am a fan. Thanks, Sharideth! I really like this!! nice work! I have nominated you for the Versatile Blogger Award. Details (if you are interested) are here: http://asoulswalk.wordpress.com/things-people-say/. Insight and humour should go together more often. Keep up the great work. Cheers. I like it! I have something somewhat similar on my blog where I answer questions about girls from guys. You should check it out! I’ve nominated you for the Versatile Blogger Award. Check my post http://richfulllife.wordpress.com/2012/02/01/i-may-never-get-freshly-pressed-but-my-sarcastic-gift-has-been-recognized/ if you don’t already know the rules. Participate if you feel like it, or if you haven’t already received this award from someone else. I like your blog, and figured I’d let you know this way. Hilarious writing. Finally! WordPress dashboard recommends something worth following.